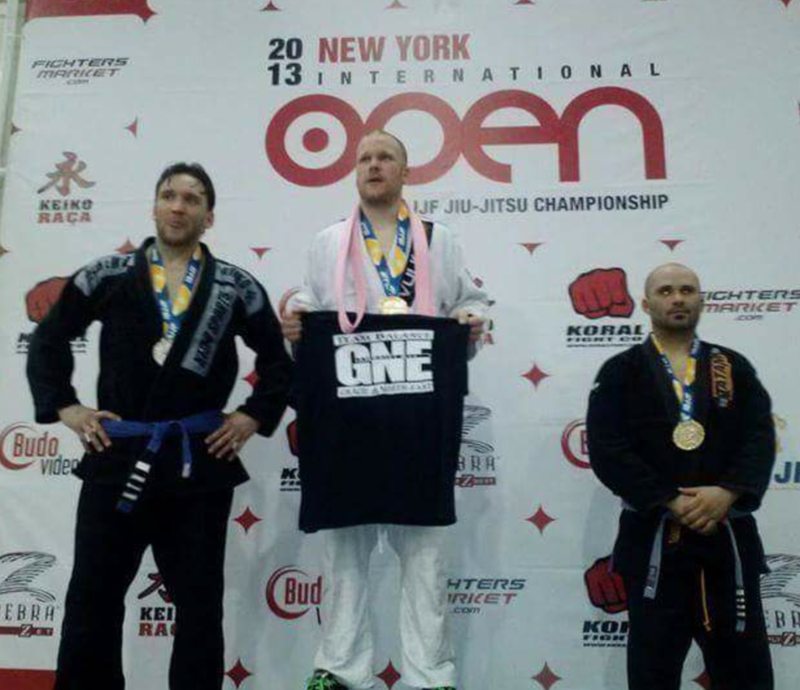 Randy, after competing at the 2013 NY Open, at the top of the podium representing Gracie Northeast/Team Balance. GNE members wore pink belts in honor of one of the wives who was battling breast cancer at the time. Our Advanced Gracie Jiu Jitsu program is where you will develop and refine your techniques and skills through drilling, specific exercises and live, supervised Jiu Jitsu training. As you move forward in the program, you will not only learn which techniques work best for your body type, but also where you have difficulties so that you may isolate those areas and improve more rapidly. Whether it be for self defense, fun and exercise or to compete with our team, you can progress at a level comfortable for you. This is your journey, we are here to help you along your way.